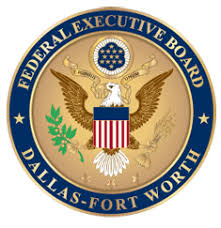 Created to leverage the knowledge, skills and abilities employees who's agencies are located in the Dallas-Fort Worth area, the Inter-Agency Mentoring Program is open to any federal employee and is designed to develop stronger employees within the federal government. We are currently seeking Mentors and Mentees to participate in this first cycle of the program. Commitment to self-improvement and the program. For individuals, the DFW/FEB Interagency Mentoring Program is designed to foster collaboration, expand the breadth of knowledge about the Federal government, be a safe place for the interchange of ideas, build confidence of all participants, increase knowledge, encourage growth, lead to employee retention, and provide a fresh perspective that is not tied to an established agency’s mindset. For employers, the benefits of having mentors and mentees are: improved employee interaction contributing to higher job performance, the development of partnerships and allies, enhances a positive environment and provides a clear understanding of expectations for mentees, increases the retention by increasing comfort levels of employees, and a higher level of employee commitment and loyalty.